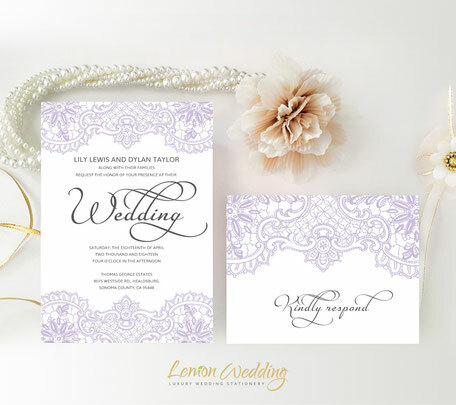 Your wedding is an once-in-a-lifetime event! 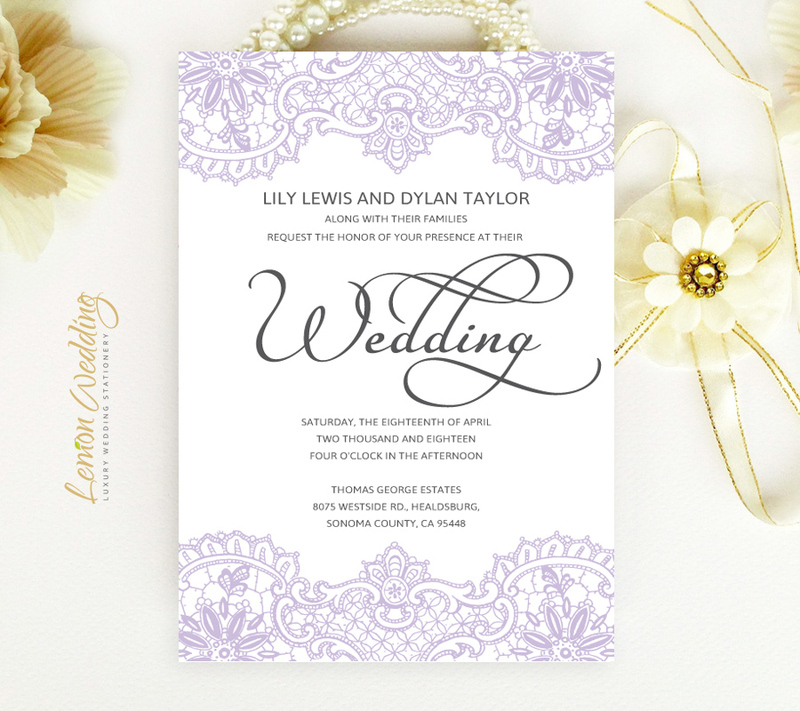 Make it even more special by inviting your guests with our Lilac Wedding Invitations. 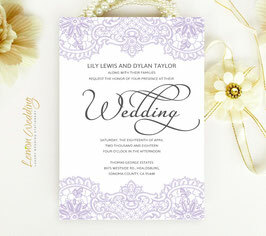 Just like the name suggests, our elegant wedding invites feature a refined lace design in soft lilac. 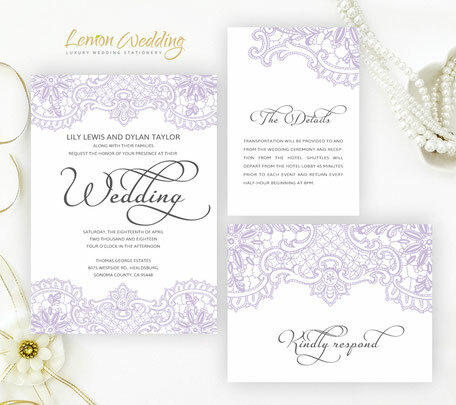 These wedding invites printed on premium card stock and finished with a lovely calligraphy style font.